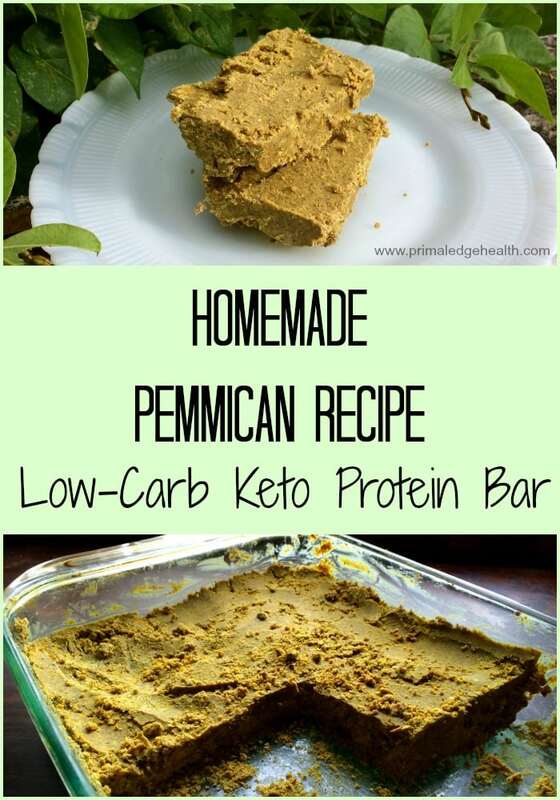 A good Pemmican Recipe makes the ultimate keto and carnivore “protein bar”, perfect for travel and long-term storage. It won’t smush, squish, or spill. 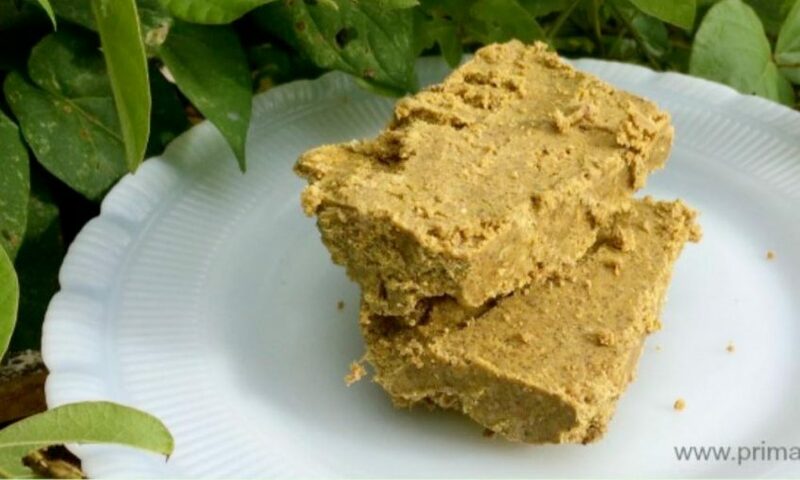 Made from the most essential ingredients for human health, meat and fat, pemmican is extremely satiating and very nourishing. 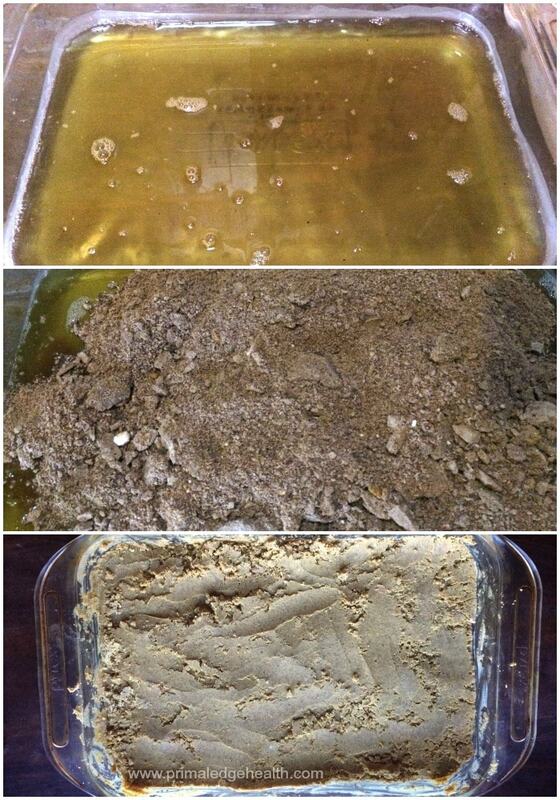 In a simple, straightforward process, hot tallow is mixed with dry meat and left to set. The final combination is a long-lasting, nutrient dense, nonperishable food. 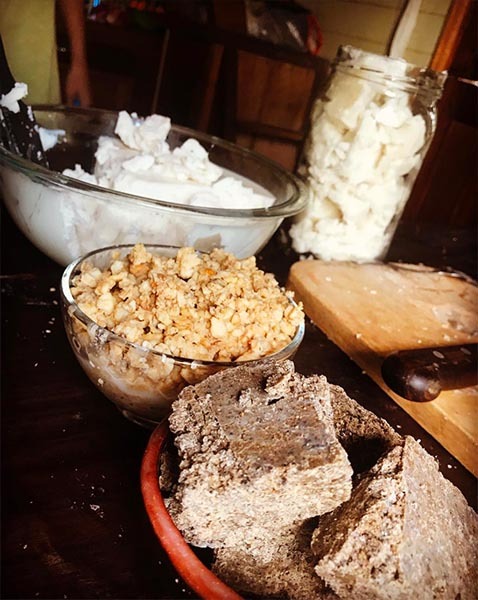 Beef pemmican recipe in front, cracklings and rendered tallow behind. What Herbs and Spices are Best? The answer to this question is really up to you! What flavors do you enjoy most? A spicy Mexican blend of cilantro, onion, and cumin? An Italian blend of oregano, basil, and garlic? I favor the mesquite seasoning from Mountain Rose Herbs that features rosemary, marjoram, and sage in combination with spicy accents of paprika, cumin, and garlic. If you’re following a Carnivore Diet, herbs and spices aren’t on your radar. In this case, use the simple combination of meat, tallow, and salt. Use what you like, taste, and adjust as needed. 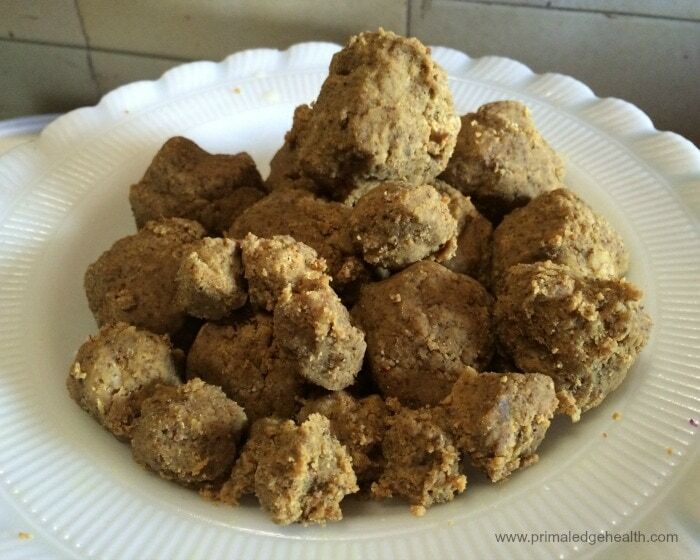 Want to give pemmican a try without the work? US wellness offers a variety of flavors and sizes of pemmican to choose from if you want to test it out before committing to making your own. No pemmican recipe needs to be heated or cooked again after its made. This is part of it wonder, pemmican is completely shelf stable and, when prepared correctly, does not go rancid. 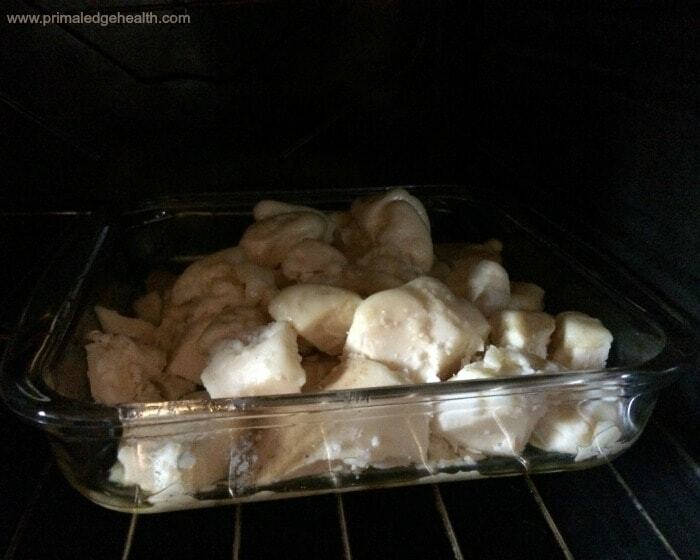 Use equal (1:1) proportion (by weight) of meat to tallow. I usually combine 400 g each of meat and tallow. You can double or half the recipe easily, as you see fit. Add your own Home Rendered Tallow to the meat or source from US Wellness (they have individual pails and large 5-gallon buckets). Dry meat in the oven with a baking sheet at the lowest setting, approximately 155°F (70°C) for a few hours until dry, flip once. Use thin strips. 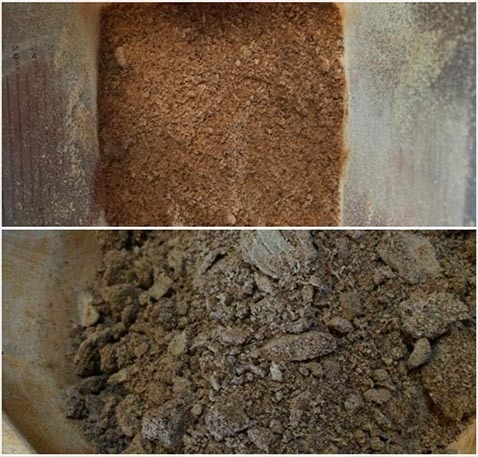 Ground beef is easy to work with, affordable, and blends into a fine powder well. You may also use thinly cut loin, sirloin, or other lean part of choice. Tracking macros can be done by calculating the amount of meat you use correctly, 6 pounds of fresh meat makes 1 pound dry, ground meat. If making a half batch, use muffin or mini muffin tins to mold the “dough”. Want more fat? 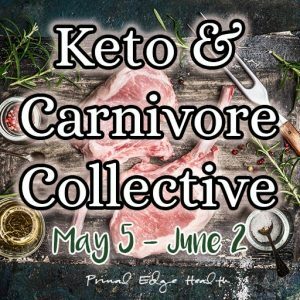 I have tried different levels of fat to meat, sometimes going up to 75% fat, 25% meat…in the end, it was a little too much but you are encouraged to experiment and find a ratio that works for you. Do You Love Meat Like We Do? 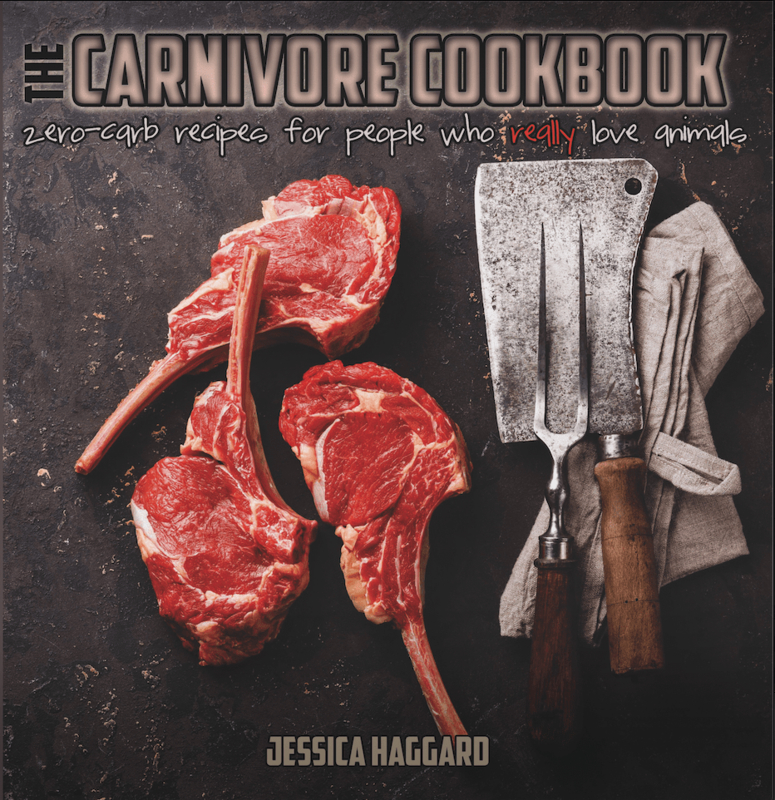 Grab a copy of The Carnivore Cookbook from our shop! 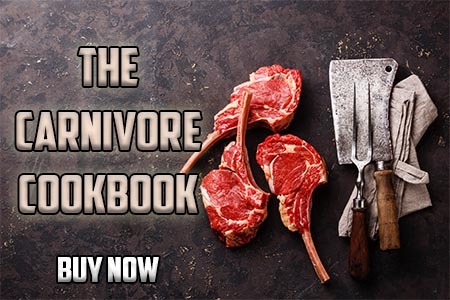 The preparation of animal foods is completely demystified in The Carnivore Cookbook with a focus on nutrient density and nose-to-tail variety. Combine the dry meat and salt. Add optional herbs and spices, mix well. Warm tallow in a heat safe container until melted in a double boiler or at low temperature in the oven. At 350 degrees F, it takes about 10 minutes. Pour tallow over meat and stir well, until combined. There should be just enough tallow to completely cover the dried meat. Mix it up with a sturdy spoon. Transfer to an 8x8-inch baking dish (or roll into balls between the palms of your hand) and leave to harden, score into squares, and store in an air tight container. Keep in the fridge or pantry. Dry your meat ahead of time in a food dehydrator or bake thin strips on a baking sheet in the oven at the lowest setting, approximately 155°F (70°C) for a few hours until dry, flip once. Ground beef is easy to work with, affordable, and blends well. You may also use thinly cut loin, sirloin, or other lean part of choice. 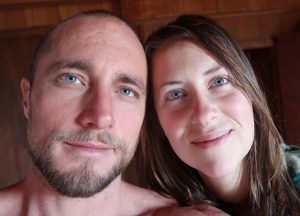 Looking for keto recipes for hiking foods suitable for multi-day hikes. This looks great! Pemmican would surely be a good choice. We’d love to hear how it works for you. This recipe looks great for my husband who travels a lot. My question is, do I cook the meat then dry it? 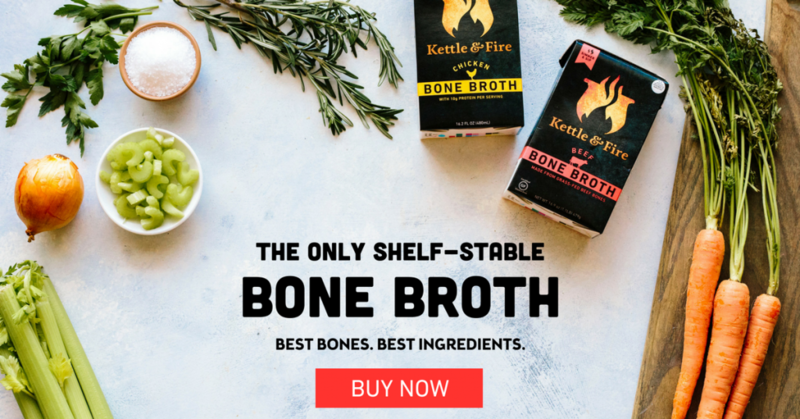 Or dry it raw? Sounds great! Working on my first batch.. Wondering what temp I should set the dehydrated at for drying raw ground beef and organ meat? 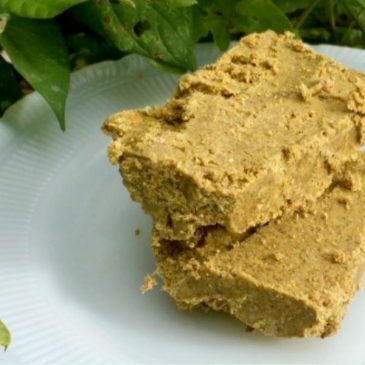 How much Pemmican is needed per day to sustain an adult in moderate activity? My son is leaving to walk the AT next week. Saw this and plan to make some to send with his other packages going out. You say is good for at least two weeks. If we ship in air tight packaging, week it be good for a little longer? So cool! Yes – in an airtight container = longer storage. I’ve stored pemmican for a long time… two months I think was the longest. It usually gets eaten up pretty quick. You should be good! My favorite is eating it with avocado and sauerkraut. Hard cheeses and canned sardines are also great foods for long backpack trips. I hope he has a great time!